Grinders: Universal - O.D. - I.D. Brown & Sharpe Micro Static OD Grinder 10" x 36"
Brown & Sharpe No. 1 OD Universal 10" x 24"
Brown & Sharpe 814U Valumaster Universal Grinder 8" x 14"
Model 814U Valumaster, S# 525-8144-2333, 8" x 14" Capacity, 24" Between centers, Max center distance wheel to work 11.5", 4 Speed work head 128/195/325/540 rpm, Tailstock, 6 Speed table 7.7/13/24/32/54/100 IPM, Extra grinding wheels, Coolant tank & 1/4hp pump, Table motor 1/6hp, Wheel motor 1hp 460v 3ph, Overall Dim. 42"L x 54"W x 5' 2"H (on pallet), Est. Wt. 3,000 lbs. 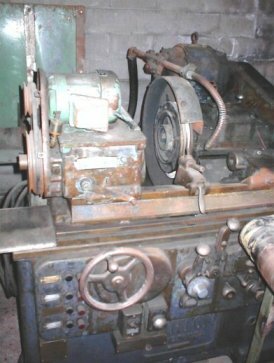 Model RP-1200-CNC, S# 1823, Date Mfg. 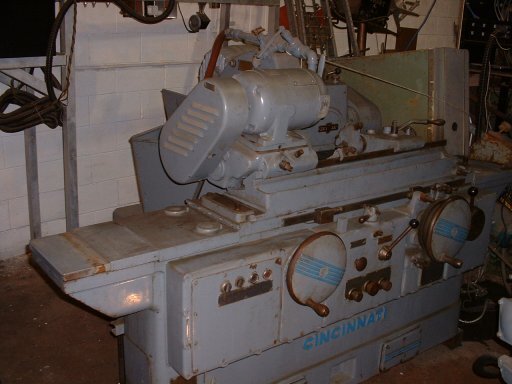 04/15/98, 12" Swing, 42" Between centers, 20" x 3" Grinding wheel, Grinding wheel speeds from 500 to 1,220 rpm, Swivel table adjustable from 0 to 2" right & 0 to 8" left, Table workhead adjustable from 0 to 45° left/right, Servo drive variable speed motor on workhead, External hydraulic pump & tank, External coolant tank with filter system Est. 400 gal., Hydraulic pump 1hp 208v 3ph, Coolant pump 3.7kw 220v 3ph, 10hp 208v 3ph 60hz 75 amp, Cleaned & painted, Overall Dim. : Hydraulic tank 28"L x 18"W x 40"H, Coolant tank 4' 7"L x 38"W x 2' 3"H, Machine 15' 4"L x 5' 3"W x 5' 8"H, Est. Wt. 10,000 lbs. 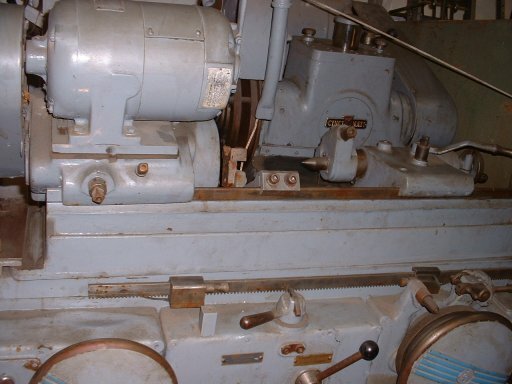 Model 1R, S# 883/25, 10" Swing, 20" Between centers, 10" x 1" x 5" Grind wheel, Hydraulic operated, Dial in traverse feed, Traverse rate, Tarry LH, Tarry RH, Plunge feed, External coolant tank, Wheel drive motor 5hp 230/460v 3ph, Hydraulic pump motor 1hp 208-230/460v 3ph, Overall shipping Dim. 6' 8"L x 5'W x 5' 4"H, Est. Wt. 6,000 lbs. Model IGM-1E, S# 1362, Max Dia. to be ground 3.9", Min Dia. .236", Max stroke 7.9", Max taper angle 60°, Max swing 10.6", Table travel 19.7", Variable speed table from 1.5 to 30 fpm with adjustable stops, Variable speed spindle, Hydraulic chucking, Dial in hydraulic chuck pressure, Hydraulic pump 1hp, Coolant pump 1.5hp, Workhead 1hp, Grind wheel 3hp 230/460v 3ph, Overall Dim. 4'W x 7' 7"L x 5' 5"H, Est. Wt. 4,400 lbs.